One Day Seminar on CPEC AND YOUTH "Opportunities for Entrepreneurship"
One Day Seminar on CPEC AND YOUTH “Opportunities for Entrepreneurship” was held at Karakoram International University, Diamer Campus, Chilas – Pakistan, organized by GB Pride Association, Center for Research on CPEC, KIU, & Karakoram Cooperative Bank Ltd. Gilgit Baltistan. The honorable distinguished guests were included, Ms. Ghazala Yasmeen CEO GB Pride Association, Dr. Saranjam Baig, Director Center for Research on CPEC KIU Gilgit, Mr. Rahmat Karim Director KIU Hunza Campus, Dr. Aftab Ahmed Khan HoD Computer Sciences, KIU Gilgit. 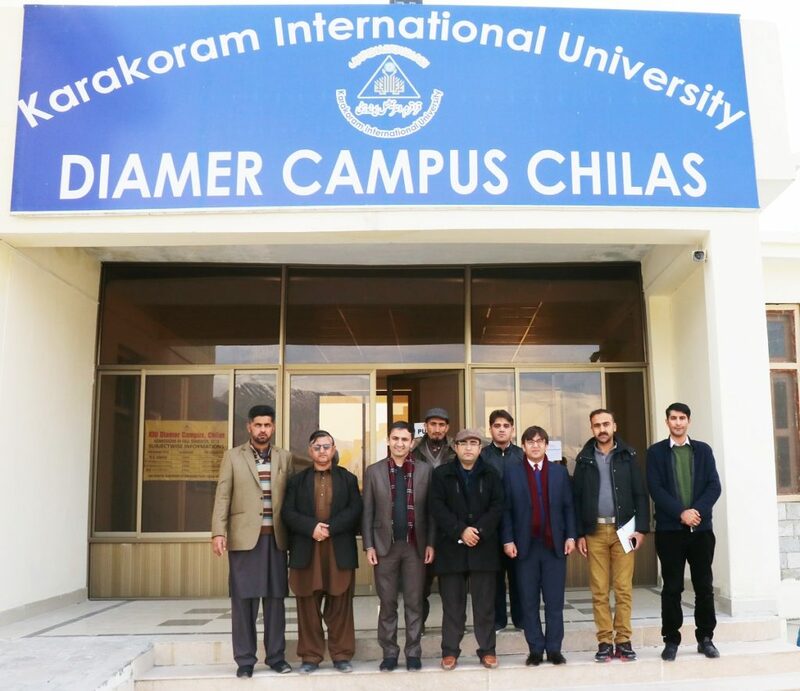 The participants were included faculty, staff & students of KIU Diamer Campus, Chilas, students of FG Degree College, Chilas and members of Diamer Youth Movement. Ms. Ghazala Yasmeen CEO GB Pride Association welcomed all participants. Dr. Aftab Ahmed Khan, Head of Department Computer Sciences, KIU Gilgit delivered a detailed presentation on Role of Information and Communication Technology – CPEC job opportunities for people of Gilgit Baltistan. Mr. Rahmat Karim, Director KIU Hunza Campus delivered a lecture on CPEC and Tourism Entrepreneurship Opportunities. Dr. Saranjam Baig, Director Center for Research on CPEC KIU Gilgit delivered a brief lecture on CPEC AND YOUTH OPPORTUNITIES FOR ENTREPRENEURSHIP. At the end President, Diamer Youth Movement thanks to organizers and all honorable guests to arrange this seminar at KIU Diamer Campus, Chilas and provide details on CPEC Opportunities.